We are able to process tubes with thicknesses between 0.3 and 0.8 mm in both steel and stainless. 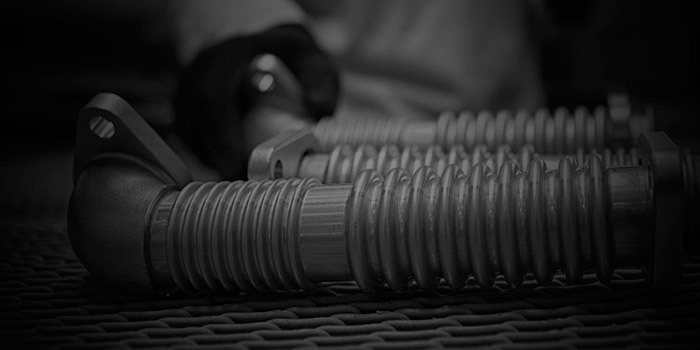 Hydroforming is especially suited for thin-walled tubes with thicknesses between 0.3 and 0.8 mm in both steel and stainless. • Flexibility: Waves are introduced with the objective of absorbing vibrations, thermal expansion and dispersions. • Able to integrate elements otherwise produced by machining processes. • Creation of seal housings, stopper assemblies, hose connections, metal sealing lips and others. • Able to create geometrical singularities and asymmetric deformations. • High flexibility in design. • Potential reduction in the final weight of the part. • Cost reduction by reducing post assembly, tooling, etc.